Welcome to phpMyAdmin 3.5.4, a bugfix release. SoundConnect announced the launch of a new service offering to assist small and medium size businesses with reliable, cloud based services. SoundConnectamp;rsquo;s Cloud Service Suite delivers the same service options to the SMB that were once only available to the enterprise customers. Quoting straight from Wikipedia, Enterprise Mobility Management (EMM) is “the set of people, processes and technology focused on managing the increasing array of mobile devices, wireless networks, and related services to enable broad use of mobile computing in a business context.” I will focus on the “technology” part in the definition and go a little bit deeper (for the process part, I recommend you to read the previous article in the series). Enterprise Mobility Management brings a couple of questions that a company should evaluate before it chooses an EMM application. I call them “scopes” of the EMM concept, which I hope will help the IT decision makers analyze their prospective EMM application. Security tops the list as one would expect. From an EMM perspective, security is about accessing the corporate resources on the mobile devices, whether through accessing corporate network via VPN or through cached data. Due to the very nature of the mobile devices, they can easily be stolen and once compromised can pose an immediate threat to the company. Considering a 360-degree security viewpoint, the EMM solution has to provide solutions to limit and revoke access to corporate systems, wipe data remotely, provide/enforce central security policies and encryption. 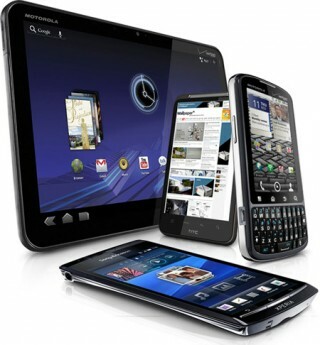 EMM Solution has to manage a broad range of devices. With BYOD, IT can never know which device it will have to manage. monitor device use in terms of network activity. The EMM solution has to be thought of carefully in terms of applications. There has to be clear procedures speed up application evaluations on the corporate side; if the application version is 4.0 and the latest approved version is 1.3, the corporate IT will clearly lose the game. What has happened with the BYOD revolution will happen again: the users will try to find a way to install the latest version. In this example, if the latest approved version is 3.8.5, then the majority of the users will follow the procedures. The EMM infrastructure has to allow this quick response to the users. Although too much to ask today, the corporations will be demanding their own “corporate app stores” from their EMM solutions tomorrow. In terms of network activity, the EMM solution has to monitor the network use of the device from an intrusion detection perspective. Or rather, the solution has to work together with an intrusion detection/prevention application to detect suspicious activity from the devices, such as requests to access to corporate resources when the device’s status is idle. Content management is another issue in the EMM infrastructure. More enterprises are deploying content management solutions such as Microsoft SharePoint to allow quick collaboration on the documents and displaying business intelligence results. The EMM solution must ensure that not only the corporate content is synced with the device but also is not accessible if compromised. The BYOD revolution just happened. Now the IT decision makers need to find a way to manage the revolution. If the IT repeats its past mistakes, it is doomed to be taken down by the revolution. The IT decision makers must remember that the board of directors are also the users of the various systems and they are also a part of the revolutionists. Online domain reselling is slated to raise ranks in the market with the rampant expansion of internet usage in the world. Hence, future of a domain name reseller looks bright and successful.